Dynamic Balancing Services is a small business based in High Wycombe, created in 1993 to service companies in all aspects of vibration testing and dynamic balancing. We have a large range of abilities, gained through the practical experience in production and trouble-shooting with regard to vibration problems within rotating machinery. For a number of years we have advised on design problems and participated in the balancing of prototype specialist equipment, including aero test rigs and prototype test rigs both of slow and high-speed applications, up to 40,000rpm. We have dealt, over many years, with the turbine, pump and compressor industries and have acquired contractual balancing for components supplied to the M.O.D, European Gas Turbines, Rolls Royce, Lucas aerospace and G.E.C, etc. Our business was conceived as a service and as such we aim to have flexibility and in most cases, complete the vibration test or balancing of small batches within a 24-hour turn around. As we specialise in vibration and balancing our personnel have experience of many varied products and methods of balance, together with many different balance specifications, from company to international standards. 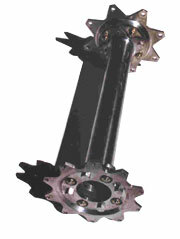 We are trained in both the theory and practical application of balance as well as having machine manufactures training. 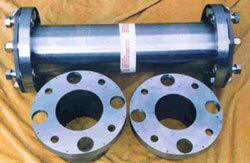 The integrity of the balancing is maintained by regular calibration of the balancing machines. Balancing certificates can be raised for all components but are usually only issued on high integrity items. Whilst we use a standard format this is flexible enough to incorporate customers requirements and we would be pleased to discuss any particular preferences. We hope the above will give you some insight into how are company functions and the services we can offer. Should you require any further information or assistance please do not hesitate to contact us.